Burnside is a unique skate park because it just happened. 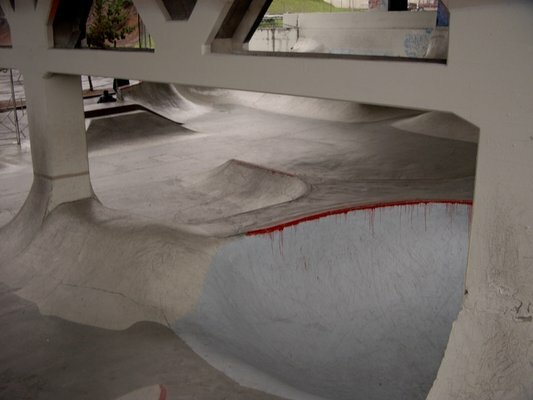 It was built by skateboarders without any kind of permission from the city of Portland, which sanctioned it after the fact. It has become one of the most famous and awesome skateparks you will see and the skill of the locals is as good as anywhere. It is built under the Burnside Bridge on the east side of the Willamette River. It probably is not a permanent park because the city can condemn it at any time if they want to declare it a public nuisance. Park on the street only, not in the adjacent private parking lots.